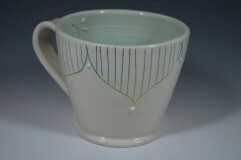 Wheel thrown porcelain mug. 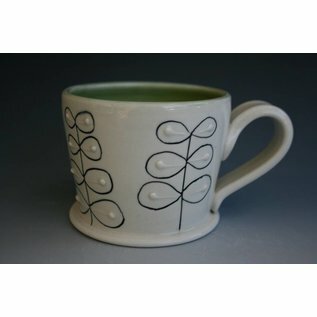 Each mug has a hand carved and inlaid pattern. 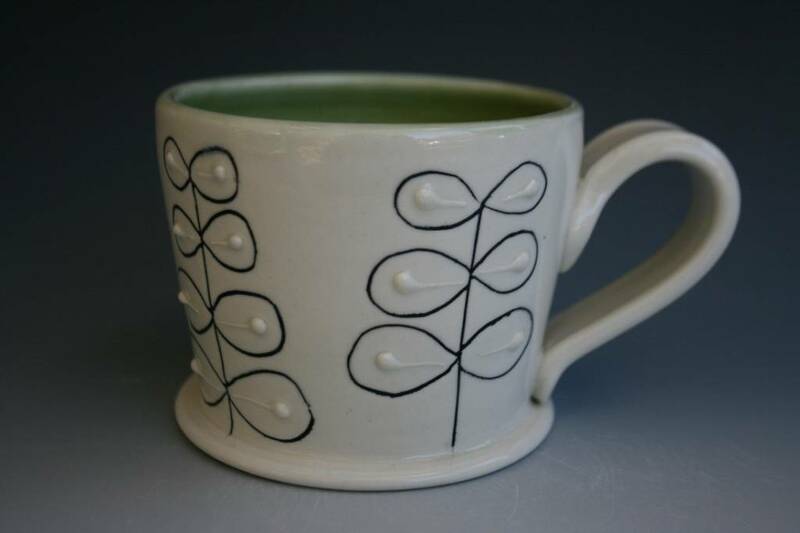 Each pattern is hand drawn so slight variations are natural to the process. 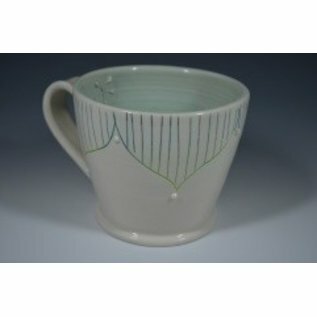 Mugs are microwave, oven and dishwasher with food safe glazes. "I love making things that people use and love daily. When people tell me my mug is the one they reach for every morning, it makes my heart smile. If something I made with my own hands can become important to someones daily life, I have done my job right. For those people that put my work on a shelf and think it's too fancy or pretty to use...that's okay too. I would rather people use my work but if you deem it important enough to put on a pedestal, well, that's something special too."